Atom Republic CEO discusses the free to play social game. Remember PlayStation Home? There’s a reason more developers haven’t tried to replicate that sense of an immense social space – it’s really difficult. Nonetheless, Atom Republic’s Atom Universe will be making a great effort. 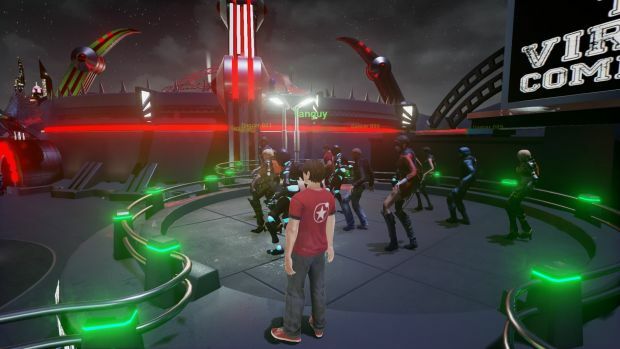 As a free to play social world set in a theme park, Atom Universe promises plenty of different games and activities to keep players busy as it makes its way through Early Access. GamingBolt had a chance to speak to Tanguy Dewavrin Atom Republic CEO, about the game’s progress, direction, succeeding where PlayStation Home failed and much more. "Being able to play games,interacting with other avatars and building online friendships are things we think that will excite players the most." How did the concept for Atom Universe come about? 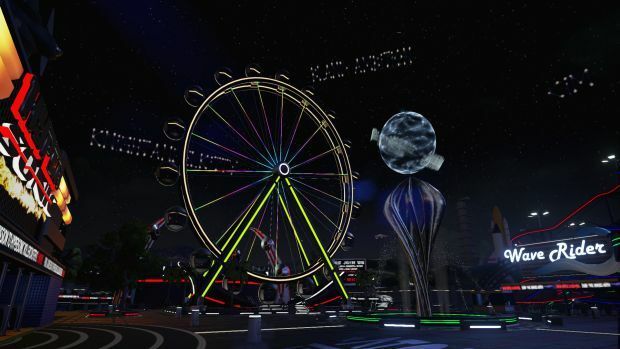 The concept for Atom Universe came to fruition towards the end of PlayStation Home’s closure. With us being a prominent developer throughout PlayStation Home’s life cycle, it was sad to see this amazing experience come to an end. During this time we established a very passionate community and we learnt that our community was looking for another virtual world, but at the same time there wasn’t many options available on the PlayStation. After we sent a survey out to our community, we learned what our community wanted to see and didn’t want to see in a virtual world. One of the biggest factors was they wanted a more fun experience, then the idea for the theme park was born. With so many games encouraging people to build their own theme parks, what is the greatest motivator for a player to attend the theme park in Atom Universe? Ideally, we want to allow players to create their own content, but this is far out in the future. For now you’re meeting up with your friends, exploring the park, taking part in mini-games and attractions that you might see in real life theme park: the biggest motivator for players is the social interaction aspect. Being able to play games,interacting with other avatars and building online friendships are things we think that will excite players the most. How are you working to capture the feel of an actual theme park and carnival? We want to capture the feel of being in a real theme park, using visuals, audio and the actual activities you can do. We’re taking a lot into consideration from what type of rides you’ll see, the mini-games you’ll be able to play and the type of environments you’ll see in this fascinating world. Different areas will also have different types of music, for example: The Arcade Plaza will feature pulsing EDM music to help match the environment. "In the current stage of development, we’ve got the basics implemented things like chat, private messaging, emojis and you can add friends in-game or directly from your Steam or PSN friends list." Will there be multiple theme parks for players to explore or is there one theme park that is constantly being modified? That’s the long term plan, but we’re still in the early stages of development now. Once the core mechanics are implemented, we’ll be looking to grow the theme park and new and exciting areas to Atom Universe. What kind of competitive and co-op modes does Atom Universe have planned? We’d like to make the Bowling Alley in the Arcade Plaza into a multiplayer experience, other games we’ve got planned like the Shooting Gallery, Go-Kart Racing and Motor Stunts would be great for some competitive modes. Like an actual theme park, are there any rewards that players can work towards? Absolutely, currently in-game we’ve got the Lost & Found mini-game. Over the course of 30 days, players can unlock Atomz (in-game currency) and unique accessories for your avatar to wear. More rewards will be unlocked in future games. What are the game’s capabilities when it comes to socializing and meeting new people? In the current stage of development, we’ve got the basics implemented things like chat, private messaging, emojis and you can add friends in-game or directly from your Steam or PSN friends list. As we continue to progress through the development cycle we’ll be looking to expand and build upon these features as well as add more. "We’re very interested in the PlayStation VR, and we have been experimenting with it. Some of the content from other studio that is in development looks very promising, and we also love the idea of being fully immersed in games." In some ways, Atom Universe reminds us of PlayStation Home (which shut down not too long ago). What are you doing to avoid the failings of Home? There is a lot of love for PlayStation Home around the Atom Republic studio, but we also want to give more things to do to the player, beyond socializing. We’re putting a few measures into place to ensure that this reminds positive and friendly environment for all. We’ve also taken into consideration that technology is constantly evolving: by siding with Epic’s Unreal Engine 4 we can adapt to include newer technologies if the need arises. Also our cross-platform technology makes us future-proof. What is the current status of Atom Universe? What activities can players access? Atom Universe is currently in the Early Access phase. PC gamers are able to download this on Steam now, PS4 players will need to a little while longer as we’re still in the closed Early Access phase. With the Early Access phase, players get to follow and take part in the development of Atom Universe. 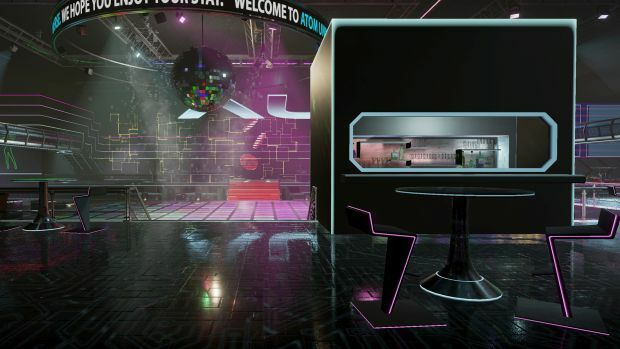 Currently players can explore two areas; The Arcade Plaza, a buzzing area where players can enjoy classic game of 10 Pin Bowling or take to the dance floor and show off their moves. The second is the Hub, this allows players to explore the outdoor area within the theme park and get a glimpse of some of the attractions we’ve got planned. What are your thoughts on the PlayStation VR? Do you think it will be like the Kinect, hot during the initial period and major slowdown after a few years? We’re very interested in the PlayStation VR, and we have been experimenting with it. Some of the content from other studio that is in development looks very promising, and we also love the idea of being fully immersed in games. Plus, Atom Universe looks and feels amazing in VR. Why do you think Sony is literally dominating the console industry over Microsoft? Well, that’s a difficult question…In all fairness, both Sony and Microsoft have great consoles and each have their own strengths and weakness. Ultimately, it all falls down to what the player wants and which console the player’s friends has. "Atom Republic has been creating content for PlayStation since 2012, and Sony have always been a great partner." Furthermore, how did your relationship came about with Sony? With regards to the future, what kind of activities will be launched in the coming days? If you keep an eye on our social media channels, we do regular activates to engage with the community. Also in-game, our community management team organizes regular events. From a gamer perspective, what are your thoughts on the rumors surrounding PS4 Neo? Do you think could backfire for Sony? If the PS4 Neo is real, it could be a big move by Sony, and we’re very excited to know if these rumors are real or not. Thank you for spending the time to send those questions over, and we hope to see you in-game soon!